The island of Lana'i is the most misunderstood of all of the Hawaiian Islands. It also is one of the least visited of the main Hawaiian Islands. In 2014, only 67,106 people visited Lana'i, compared to almost 5,159,078 who visited Oahu, 2,397,307 who visited Maui, 1,445,939 who visited Hawaii Island and the 1,113,605 who visited Kauai. 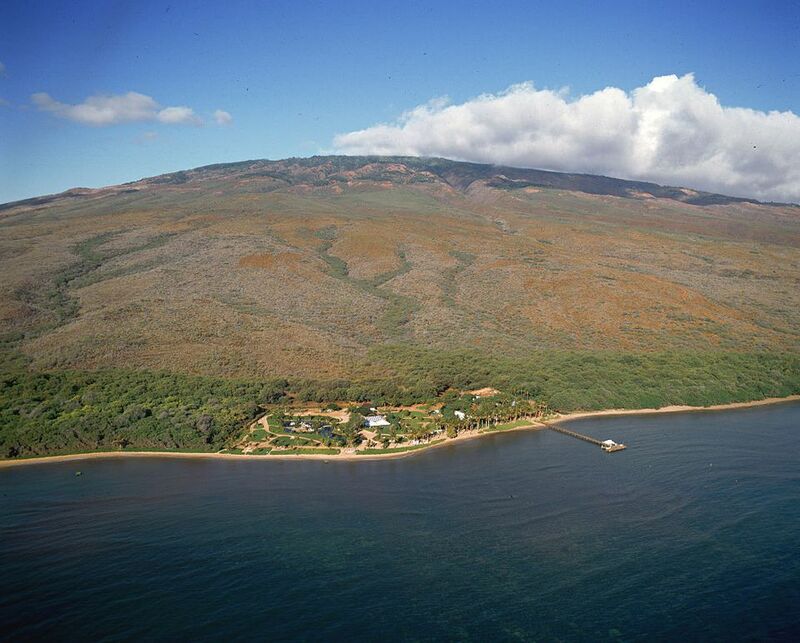 Only the island of Moloka'i saw fewer visitors at approximately 59,132. Those who do visit Lana'i tend to be wealthier than the average visitor to the other islands. To their credit, however, the resorts have attempted to make their rates more attractive to all Hawaii visitors in recent years. Even today when asked what they know about Lana'i, many visitors still mention pineapple. Others are aware of the two world-class resorts that have opened on the island since 1992. Others know that Lana'i features two of Hawaii's finest golf courses. In fact, a large number of the folks who travel to Lana'i each day on the Expeditions Ferry go for a single day of golf. Interestingly, while many still associate Lana'i with the pineapple industry, pineapple was actually only grown on Lana'i for about 80 years of the 20th-century. While the pineapple industry was responsible for a sizable influx of foreign workers, primarily from the Philippines, it was unable to sustain itself as a profitable enterprise and the sons and daughters of many of the immigrant workers left the island for better opportunities elsewhere. It was a failed experiment. Today no commercial pineapple operation exists on Lana'i. Realizing the need to change or, quite frankly, fade away, the Lana'i Company, under the leadership of David Murdock, made a decision to go in an entirely different direction by building 2 world-class resorts to attract visitor traffic to the island. The original Lana'i development plan also called for the implementation of a diversified agriculture to replace the pineapple industry, but that aspect of the plan has been widely abandoned. In June 2012, the Oracle Corporation co-founder and CEO Larry Ellison signed a sales agreement to purchase the vast majority of Murdock's holdings including the resorts and their two golf courses, a solar farm, various real-estate holdings, two water utilities, a transportation company and a significant amount of the land. Today, Lana'i is totally dependent on the tourism industry for its survival. Many residents recognize that this dependency, like their former dependency on the pineapple industry, is much too risky for long-term prosperity. Visitor numbers to Lana'i have actually declined in recent years. One of the most popular ways to get to Lana'i is to take the Expeditions Ferry from Lahaina, Maui. The ferry departs from Lahaina five times daily making an equal number of return trips. The 45-minute crossing costs only $60 round-trip (approximate price). In conjunction with several island operations, Expeditions offers several deals which include automobile rentals, golf packages and guided tours of island highlights. On a previous visit, we selected a four-hour tour with the Adventure Lana'i Ecocentre which also offers full day tours and sunset tours as well as diving, snorkeling and kayaking opportunities. The company is jointly owned by two Lana'i residents, one of whom was our tour guide - Jarrod Barfield. Our tour took us to many of the island's highlights including Lana'i City, the Munro Trail, Maunalei Gulch, Shipwreck Beach, the Po`aiwa Petroglyphs, the Kanepu`u Forest Preserve, and the Garden of the Gods, as well as both the Lodge at Koele and the Manele Bay Hotel. The island of Lana'i is not for everyone. Aside from the resorts and Lana'i City, it is not easy to visit most other areas of the island. A 4x4 vehicle is a must and an experienced tour guide is highly recommended. In the week before our visit, two visitors stranded their rental 4x4's in the mud on the road to Shipwreck Beach. Visitors often attempt to explore the island on their own, only to find that they get lost, stuck or cause damage to their rental vehicle. Perhaps this is why the majority of island visitors stick nearby the resorts and golf courses. While the resorts are, without question, superb, there is much more of the real Lana'i to experience.